How To Make The Most of a Long Flight To Hawaii. The truth is most flights to Hawaii are long, but they don’t have to be grueling. How can you get from a to b without draining yourself physically and mentally? Good news! We got some great suggestions for you so you arrive to your paradise vacation refreshed and ready to go. How? 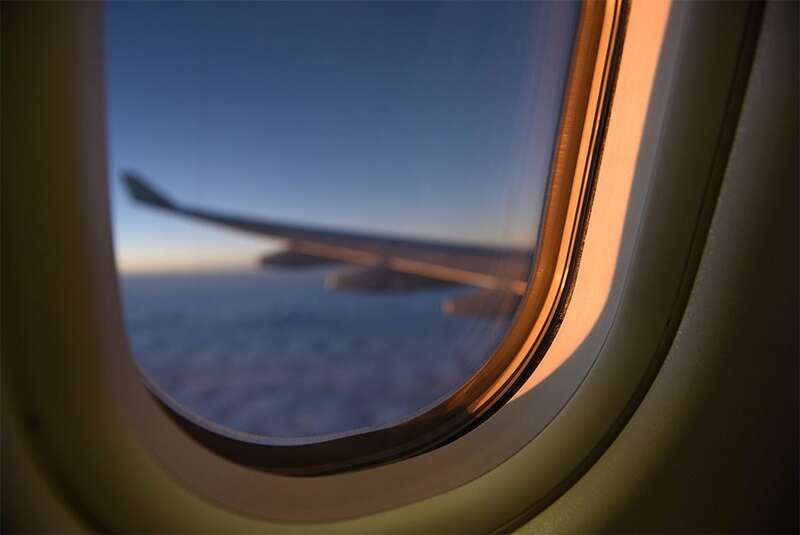 The best way to stay comfortable on any flight over four hours is to wear loose-fitting clothing and layers so you can adjust to temperature changes. Items like loos-fitting jean, t-shirts, and comfy tops for work well. Tennis shoes are also great for long trips. Some say the best way to get through a long flight is with a couple of cocktails. Others disagree and avoid alcohol entirely. Whichever you prefer, it’s important to stay hydrated in the air. Drink plenty of water in the days leading up to your flight and make sure to bring a reusable water bottle with you. You can fill it right before you board and mix in some electrolyte powder for extra hydration. Bring your own food and snacks, you’ll want them. Most airlines will serve meals and snacks for purchase on long flights, but there really aren’t any guarantees on nutrition. Items like nuts and fruit are great, but probably won’t keep you satisfied until land. For long flights, we suggest bringing a sandwich (or two) for extra nourishment. Walk around as much as you can. On long flights it’s important to move around as often as you can. Otherwise you may get stiff or worse, you could suffer from deep vein thrombosis. The thing to do is walk up and down the aisles every one to two hours to get your blood flowing. You can also try stretching in-seat, just be careful not to disturb your neighbor. Many people love window seats, however, for long flights an aisle seat might be better. They’re roomier and, of course, it’s easier to get up and move around if you don’t have to cross over two other people. The best way to survive an 11-hour flight sleep is to sleep for much of the time. Easier said than done. But, even if you can’t fall asleep, resting your eyes and shutting out surrounding noise may help a lot. Bring a sleep mask, ear plugs and neck pillow. Cozy up and mellow out. Before you know it, you’ll be on the ground. Aloha! IPad? IPhone? Bring ‘em both. If you’re lucky, you’ll have outlets on your flight. If not, you’ll have to use electronics sparingly to conserve the battery – or you can bring external batteries with you! Make sure you have your favorite movies, shows and podcast downloaded and ready to go. 11 hours is plenty of time to get caught up on your favorite programs. Other extras you may want to bring with you are hand sanitizer, moisturizing lotion, lip balm and your favorite coffee/tea. Follow these tips and you’ll have an easier-than-ever flight to Hawaii. Long flights can be a drag, but remember your reward: a vacation in Paradise. Kilauea Hospitality Group is nestled in a pristine rainforest. Just 5 minutes from the entrance to Volcanoes National Park, our accommodations offer everything you need for an unforgettable stay in the Big Island.